This is with reference to the article entitled "Ahmed Shah Abdali was not a Saint" by Dr Naseer Dashti (Dawn, Encounter Aug 23), which was in response to my previous article on the great Pashtun icon. The Afghan-Baloch relationship is a very delicate and sensitive affair. For its analysis immensely reliable and more informative sources other than the fireside stories and folklore are desired. Yet for clarity and objectivity an analysis of such writings which is undistorted by tribal prejudices and bitterness over an un-recallable past is required which should be illuminating and thought provoking for those who want to discern whether the Afghan monarch was a man of dual personality or not? 1. Ahmad Shah Abdali attacked Kalat, defeated the Brahuis and married a daughter of the Khan. He was a merciless plunderer and murderer of Baloch people just like his master and mentor Nadir Shah Afshar. 2. For his assumptions, Dr Dashti's sources are the fireside stories told by their forefathers and Balochi folklore on Afghan intrusions and acts of murders, lootings, and cattle lifting on Baloch soil. 3. He calls the authors of the Pathan history official historians, academicians and makes the media solely responsible for projection of Ahmad Shah Abdali to please Afghanistan or words to that effect. To avoid impulsive, passion-carried conclusions and preconceived irrational deductions a brief resume of Baloch-Pathan interaction is worthwhile. Relying on the history book Tarikh Nama-i-Herat compiled by Saifi Haravi, (A. Aziz Luni Afghans of Frontier Passes Vol-I, p-59), by 1250 AD some of the Pathan tribes had reached the territory of the present day Balochistan and interaction between the two races had started since then; the main Afghan tribes being the Pannis, Tarins, Kakars and Sheranis. According to Rai Hatu Ram who remained associated with the political affairs of Balochistan for a very long time and served with Sir R. Sandeman, the Raisani Afghans (Tarins P-172 and-570) came from Kandahar via Pishin and occupied the Thal-Chotiali area. Rais Khan Tarin, with a band of his clan, occupied Kalat, while Mastung with adjoining area was then occupied by the other Afghan tribes and there was no trace of the Brahuis or Balochs in the area (Rai Hatu Ram, Tarikh-i-Balochistan, p-172). Siwa, a Hindu raja and the first ruler of Kalat, is mentioned in the pages of history. After him, Kalat changed hands to the Mughals, Mirwanis and Baloch Rinds successively. In the battle between the Mirwanis and Rind Balochs, Umar Khan Mirwani, the chief got killed. His widow, with her minor son, named Bajaru Khan took refuge in Mastung with the Pathans. Subsequently Bajaru Khan married the daughter of a local Pathan notable. With the help of the Raisanis, Bajaru Khan defeated and killed Mandu Baloch and occupied Kalat. Bajaru Khan granted some land to the Siahi clan of Raisanis, which is still held by them. With the passage of time the Siahis merged with the Mengal Balochs and gradually lost their identity as Tarin Pathans and moved over to Jhalawan. Later, Mir Bajaru abandoned Kalat and became a recluse. The Mughals, who were waiting in the wings, occupied Kalat; however, the Raisanis along with the nneighbouring Baloch clans, drove away the Mughals, and Mir Hasan Khan Ahmadzai Qambrani Brahui was proclaimed as the ruler of Kalat. The Brahuis from all over Balochistan concentrated in and around Kalat and established a powerful Khanate in the area. The Raisani Pathans remained their strong allies throughout their subsequent adventures. However, it were the Panni Afghans who subsequently fought major battles with the Brahui Chiefs. During the time of Mirza Khan Pannaey, the Afghan Chief of Sibi (1666-1699 AD) eighteen battles were fought between the Panni Confederacy and the Brahuis of Kalat in the neighbourhood of Sibi or Dhadar (Major H.G. Raverty does not make a mention of these but other historians belonging to the opposite sides namely, Mullah Fazil and Akhund Muhammad Sidique Akhbar-ul-Abrar 1854 mentioned these). In one of such battles Bahar Khan Kurak Pannaey wounded Mir Ahmad Qambrani, the Chief of Kalat. The Brahuis left the battlefield; the Afghans collected the booty, consisting of silken belts and horses of Turki and Tazi breed. Mir Ahmad Qambrani's sister named Bibo gallantly attacked the Pannis. Attired in male garments she fought valiantly and got killed at the hand of Jalal Khan Kurak (A. Aziz Luni Afghans of Frontier Passes Vol-I, p-185). Soon the Brahuis avenged themselves on the Pannis and defeated Rahim Khan Pirang who led the Pannis in the absence of Mirza Khan Pannaey. Mullah Fazil writes: Mir Ahmad got off his horse to inspect the bodies of some of the Afghan nobles famous for their bravery in the battlefield. He smeared his moustaches with the fat of Syed Abdul Nabi and drank the blood of Shanbay Pirani (Mulla Fazil Nasab Nam-i-Barozi or History of Siwi, 1825 AD). In 1695 AD, peace prevailed between the two tribes, which was sealed by a happy marriage of Princes Mahnaz the daughter of Mir Ahmad Qambrani with Said Khan Barozaey Panni, the brother of Mirza Khan Pannaey. According to G.B. Malleson, (History of Afghans p-233) Mir Vais Ghalzaey after having captured Kandahar sought and enlisted the support of the Balochs and Tarins of Kalat and Quetta region. However, this Baloch-Afghan cooperation broke down during the lifetime of Shah Hussain Ghalzaey when Khan of Kalat began encroachments on the Afghan area of Shal, Pishin and Shorawak. According to Mir Gul Khan Nasir, ("Tarikh-i-Balochistan" p.32) soon after that in 1730 AD Mir Abdullah Khan, the Chief of Kalat fought a battle and defeated Ashraf Shah Ghalzaey (according to some he was killed by Ibrahim, a slave of Shah Hussain Safavi). He beheaded him with his own hands, because many Baloch warriors had fallen on the battlefield. Meanwhile, in 1708 AD the Panni estate of Sibi had been almost taken over by the Kalhoras. 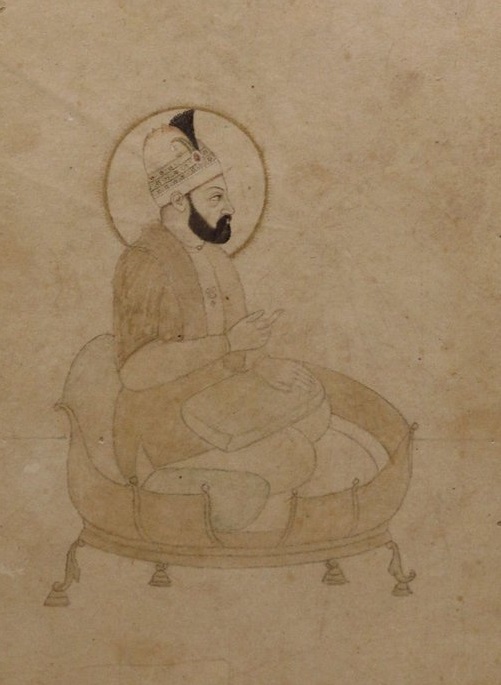 Around 1730 AD, Mian Nur Muhammad Kalhora alias Khudayar Khan Abbasi, Sabit-i-Jang appointed Murad Kaleri alias Ganja the Governor of Sibi. According to Ghulam Rasul Mehr (Tarikh-i-Sind) the new governor crushed the semi-independent feudal lords of Kachhi. Mir Abdullah of Kalat felt apprehensive of this new development. He, perhaps, to develop relationship with the Kalhoras offered two of his daughters to the two sons of Mian Nur Muhammad Kalhoras. The peace did not last long. In 1731 AD, the Mir attacked Kachhi. Mir Abdullah Khan, the eagle of the mountains, was killed during the fight. According to Tahfat-ul-Karram this reverse broke the backbone of the Brahuis. To recover the territories earlier occupied by the Brahuis Shah Hussain Ghalzaey, in July 1733, crossed Khojak Pass and reached Pishin. Not finding the Brahuis there he followed them to Shal. The latter had taken position within a fort (on a mound or Kawatah) and sallied out under their leader Salar Khan, however, he was defeated. During the darkness of the night they vacated the place and made for Mastung and Kalat. Sher Dil Khan Babuzaey occupied the fort and Shah Hussain pushed on to Mastung. Prior to his arrival the Baloch had left Mastung. They divided themselves into two groups; one headed to Kalat and the other towards Gandawah Kachhi. The fugitives were overtaken at the boundary of Kalat district. Major H.G. Raverty on page 611 and 612 of his Notes on Balochistan writes that the men took to the hills, leaving their families, cattle, and other property. The Afghans under Asadullah Khan Ishaqzaey Hotak took over every thing, and left the women and children unmolested. The Brahui Chief tendered allegiance. A treaty was concluded and out of the five clauses of this treaty one was that the Brahuis would return the cattle brought from Pishin and Shorawak. In 1737, the Baloch came in contact with Nadir Shah Afshar As the stories of the success of Nadir Shah Afshar spread, the Brahui Khans of Kalat abandoned the Afghans and went over to the side of the Persian despot. Major H.G. Raverty on page 613 of his Notes writes that on 22nd April 1737 AD, the sons of Mir Abdullah Khan of Kalat, namely, Mir Mohabat Khan, Mir Iltaz and Mir Nasir Khan visited Nadir Shah at Kandahar. According to Nadir Nama the latter confirmed Mohabat Khan as ruler of Kalat. The younger two brothers with their stepmother named Bibi Mariam remained behind with Nadir Shah who granted them the revenue of Shal/Quetta district, which belonged to the Kasi Afghans. Subsequently he cancelled this grant as Mir Nasir had killed his brother Mir Iltaz. However, subsequently Nadir Shah further allotted a portion of Kachh-Gandawah tract that also belonged to the Panni Afghans. On assassination of Nadir Shah Afshar, Ahmad Khan Abdali and Mir Nasir Khan of Kalat returned to their respective homelands. They had become acquainted with each other during the long period of their service with Nadir Shah. The assassination of Nadir Shah was a landmark in the process of the commencement and evaluation of Afghan as well as Baloch nationalism. Mir Nasir Khan of Kalat did not stay at Kalat any longer and soon went over to Kandahar. He was present at the time of the coronation ceremony of Ahmad Shah Abdali. However, the latter confirmed Mohabat Khan as ruler of Kalat. According to G.P. Tate, in Appendices to his 'Memoirs On Kalat' Mohabat Khan killed Muhammad Talib Kansi on whom Ahmad Shah had conferred the office of Arbab. The King replaced him with Mir Nasir Khan. Sir Olaf Caroe (The Pathans, p-372) writes:-Ahmad Shah, on setting up his new kingdom in that city in 1747, enforced the submission of the Brahuis,and regarded his empire as extending almost to the sea. If any doubt were held to exist upon the point,it would be resolved by the fact that, in order, to fix his new dependant's loyalty, Ahmad Shah proceeded to the unprecedented lengths of bestowing upon him an Afghan district, the valley of Shal, in which Quetta is situated. The settlement of Brahuis in the villages just south of Quetta, dates from that time. Qazi Nur Muhammad in Jang Nama 1764 AD says that Shal was granted to Mir Nasir Khan by Ahmad Shah as a reward for his jihad against the Sikhs. However, Akhund does not make mention of this grant while Pottinger (Travels in Balochistan and Sindh) says that Shal was given to Nasir Khan for his bravery in the battle of Mashhad. History Vol-I, on page 105, states, With a difficult situation for the Afghans in India (1758 AD), Nasir Khan, a formally loyal Brahui Chieftain, also availed of the opportunity and declared his independence. A Brahui Baloch confederation, centered in Kalat state, threatened Ahmad Shah Abdali, Nasir Khan was defeated but was allowed to rule locally in return for the right to ask for troops to serve in time of War. Nasir Khan gave a cousin in marriage to Ahmad Shah, with Quetta and Mastung as wedding gifts. Ahmad Shah in this venture wanted to save his strength for the Mahrattas threat in India. Soon after in 1759 AD, Ahmad Shah, joined by Nasir Khan Brahui of Kalat, reached Punjab via Balochistan with a view to stem the westward expansion of the Mahrattas. 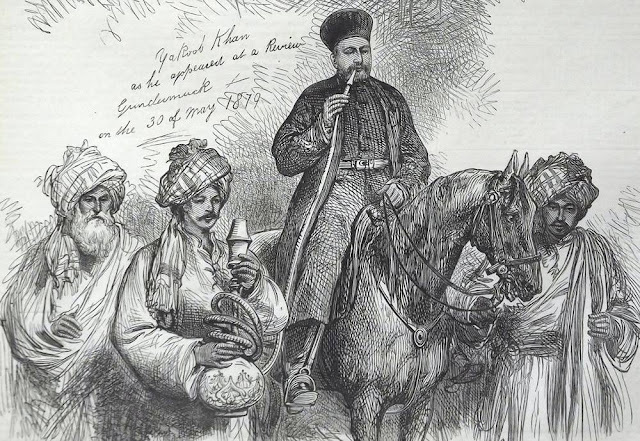 Throughout his stay in Hind the Brahui Chief remained his most trusted aide. The latter was also present with Ahmad Shah in January 1764-65 AD to fight against the Sikhs who had wrought devastation in the Punjab. After routing the Sikhs, Ahmad Shah offered the territories of Chenab, Jhang, Multan and Dera Ghazi Khan to Nasir Khan as a parting gift. However, the latter declined to accept the control over the areas offered. 1. The Afghans facilitated the establishment of the Brahuis State of Kalat. 2. Nadir Shah Afshar acted more favourably towards the Khan of Kalat by not only confirming his rule in Kalat but also bestowing on him the tracts of Kachh-Gandawah, which belonged to the Panni Afghans. He had also granted the Shal tract to Mir Nasir Khan and his stepmother; although this grant was later cancelled. Subsequently, Ahmad Shah Abdali did the same and granted the tract of Shal/Quetta to Mir Nasir Khan of Kalat, which belonged to Kasi Pathans. 3. Matrimonial alliances had been a common practice in the feudal society of the 18th century to mitigate, if not completely eliminate, animosity between two rival tribes or races. If Ahmad Shah Abdali took a Brahui wife from the royal family it was not by force, but to establish amiable relations rather, which the Brahuis did earlier in case of the Kalhoras as well. Generally, the tribal blood-battles did not end with political negotiations. They ended only when one or the other side was annihilated or there was a cause for face-saving. No tribal war has ever ended tamely. Inter-tribal marriages acted as balm on the wounds of those who lost their near and dear ones in such conflicts and provided a cause for face-saving and upholding ones honour, so important to the Balochs and Pathans alike. 4. Had Ahmad Shah Abdali mercilessly plundered the Balochs and Brahuis of Kalat, Mir Nasir Khan the Khan of Kalat would not have accompanied him to Hind soon after his chastisement. The offer of a grant of vast tract in Punjab by Ahmad Shah to the latter reflects their amiable mutual relations. 5. Killing, smearing of mustaches with the fat and drinking of blood of the dead enemy, lifting of cattle of the defeated adversary were part of inter-tribal battles and fights and were practiced by both sides. Violence in a tribal war expanded in ever widening cycles of raids and counter raids and forays. Tribal issues gradually merged with personal issues and the entire tribe got involved. 6. Leaving aside his first invasion of Punjab what motive one could give to Ahmad Shah's subsequent invasions of Hind where he invariably fought the Sikhs and Mahrattas? I have dealt with it in much detail in my previous article. I leave it now to the discretion of the reader. Naming of the training companies in the Pak army training centers and weapon systems after Ahmad Shah Abdali to inspire the defenders of Pakistan is a befitting recognition of Abdali's deeds and achievements by whole of the Pakistani nation. It would be appreciated that the Pathan land has always remained the launching pad of Islam. Syed Ahmad Shah Barelvi, out of whole of Hind, chose this region and people for his 'Mujahideen Movement'. One only finds the Pathans from Afghanistan and N.W.F.P who came to the rescue of the Muslims of Kashmir in 1947; hundreds of miles away from their home and hearth. A large number of them gave their lives during this campaign. The Pathans have the privilege of having sent maximum numbers of saints and Sufia to Hind for preachin gIslam. (For more detail on this subject see B. Dorn,History of the Afghans, London, 1829). 7. History is not created from fiction, legends, ballads or folklores. These are more often than not the exaggerated versions of an event or incident. 8. Except two (of whom one is from Balochistan), all historians quoted in the aforementioned discussion are either non-Pathans or have written their works much before the creation of Pakistan. Hence, they cannot be labelled as the official state-sponsored historians. 9. I have not been able to comprehend how it is humanly possible for a common person to even know the name of his forefather from a thousand years past, what to talk of him being killed by Mahmud of Ghazni and furthermore, he should feel humiliated by seeing the missile systems named after Ghaznavi, like Dr Dashtihas suggested in his discourse. The synonymity of Pathan and Baloch codes of conduct and identity of views on many matters bear out the fact that we find the Pathans in the past ever arrayed against other non-Pathan Indians and despising them, evincing an antagonism which is not merely practical and political but one of ideals and sentiments. On the other hand, although, the Pathans had some local blood feuds with the Balochs, yet in the times of peace, they displayed a marked similarity of sentiments, ideals and aims. The Pathans mental characteristics also approximate much more closely to the Balochs than those of any other race that is why both the races co-exist peacefully and amicably in Balochistan since centuries, and would always continue do so if the seeds of imaginary misgivings are not sown between them.